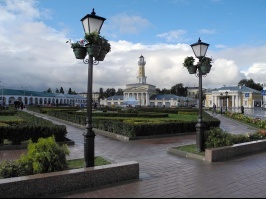 After breakfast, meet your driver and guide in hotel lobby and transfer to Vladimir - the medieval Russian capital. Vladimir is an ancient Russian town located on the banks of Klyazma River. This Golden Ring town is famous for its outstanding historical and architectural heritage. We will go inside the Dormition Cathedral with renowned frescoes by Andrei Rublev dating back to the 15th century, explore the architectural complex of the Cathedral of St. Dimitriy and walk along a central pedestrian street full of galleries, artists, and local souvenirs. Our next stopn on the Golden Ring route is Suzdal, a rural jewel mostly bypassed by 20th-century modernization. It still feels like an old Russian town where quaint wooden houses mingle with golden-domed churches, and a little river slowly flows among green hills and meadows. 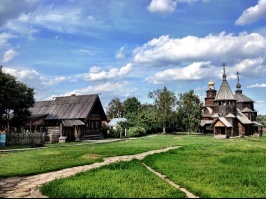 Suzdal offers rich historical and cultural heritage along with the pleasure of merely relaxing and enjoying the landscape. During the tour we will visit UNESCO World Heritage Sites - the stunning Kremlin and the ensemble of the Monastery of Saint Euthymius. 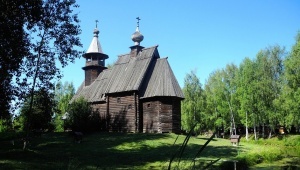 Continue your trip to the Museum of Wooden Architecture which is an example of classical ancient Russia. In the morning, after an hour or so in Suzdal, we continue with our Golden Ring itinerary. After 2 hours of driving through fir woods and birch tree groves, and picturesque Russian villages we arrive in Plyos. A town of wooden cottages on the green hills and meadows descending to the great Volga River, it used to be an artistic colony a century ago and inspired many Russian artists to create numerous landscapes displayed in major Russian museums. The most prominent and world famous is Isaac Levitan who has a museum of his own in Plyos - the Levitan House Museum. We continue our tour to the historic city of Kostroma built at the confluence of the Volga and Kostroma Rivers. A stunning view awaits you as you cross the Volga river heading into the center of Kostroma. 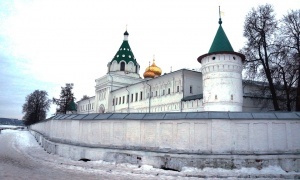 Kostroma is known as the place where the first Romanov was petitioned to become a tsar, thus beginning the dynasty that ruled Russia for 300 years. The event happened at the St. Ipaty Monastery which we will visit today. Another 84km from Kostroma, and we arrive in Yaroslavl – a city as old as Russia itself, and one of the prettiest towns in Russian towns. It has the most significant number of onion-domed churches per square metre and is home to the John the Baptist Church with more domes than any Russian church. You can walk along an excellent riverside promenade and admire the Volga. 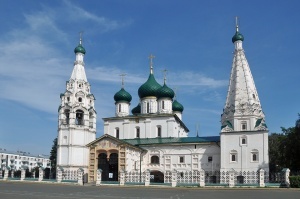 City tour of Yaroslavl includes sightseeing of the Spassky Monastery with Transfiguration Cathedral. 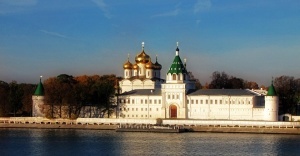 During the excursion you will explore the treasure of ancient art - the Church of Elijah the Prophet and the famous, unique Church of St. John the Baptist, depicted in a 1000-ruble banknote, a monument to Nekrasov, Academic Theatre called after Volkov and Volkov memorial, visit the spit of a high point at the confluence of the Volga River and Kotorosl rivers, where the fortress was founded in the 11th century.